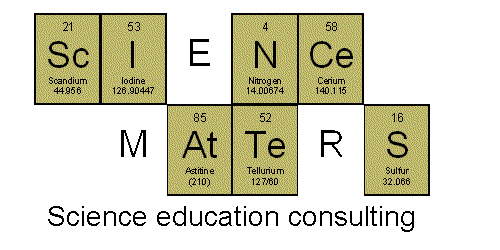 Science Matters: Chromatography: Which is Which? Pictured above are 2 M&Ms and 2 Reese's Pieces. Can you tell which are which? 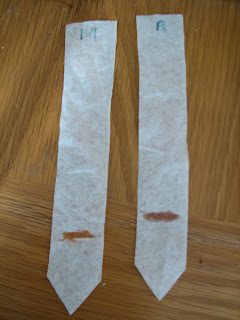 Do you think the brown dye used to coat them is identical? It certainly looks like it, but you can use science to determine the difference. 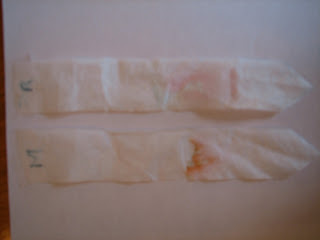 We'll be using chromatography again, separating the dyes found in each candy coating. 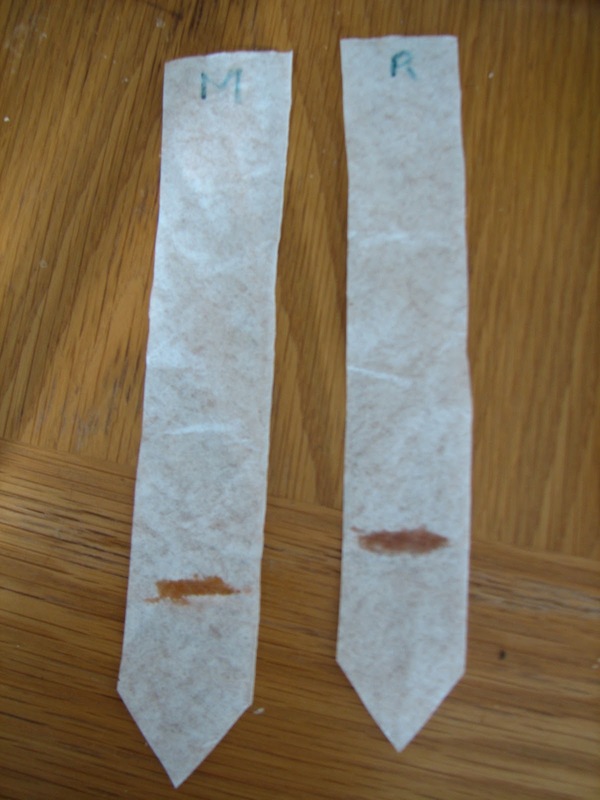 To begin, cut your filter paper/coffee filter into two strips, about an inch wide. Label one with an M (for M&Ms) and the other with an R (for Reese's Pieces). Dip part of a brown M&M into water. 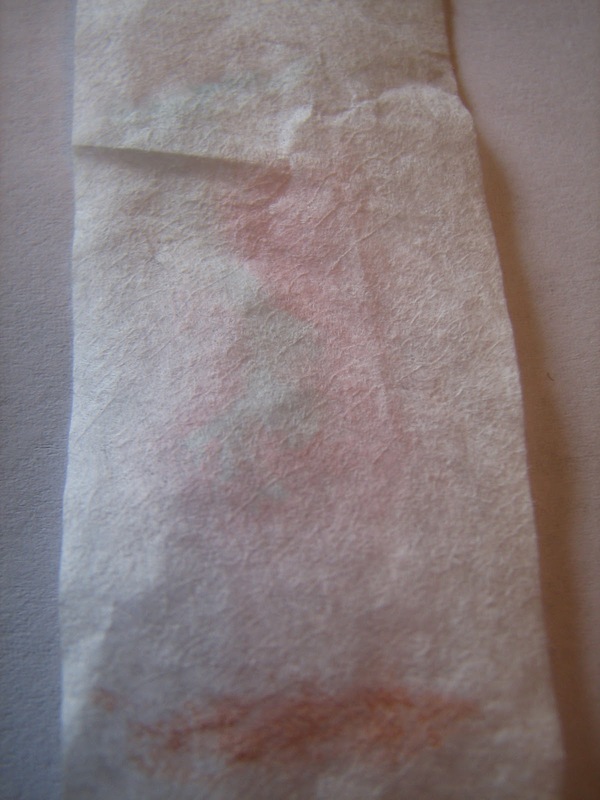 Use the wet portion to draw a line on the appropriate filter paper, about an inch from the bottom. You'll want to go over the line several times, to make it as dark as possible. 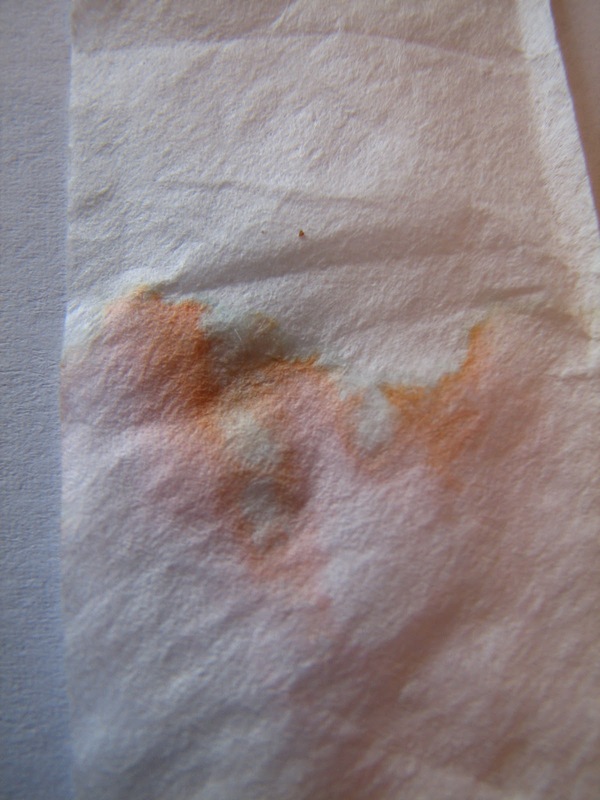 Repeat the above steps with a brown Reese's Pieces and the other piece of filter paper. 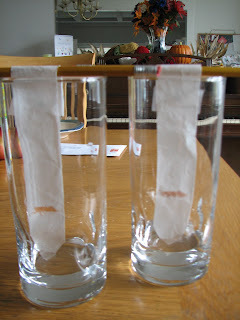 Set up your filter papers so the very end is in water (make sure the line is above the water level). I used pencils to suspend my filter papers in tall drinking glasses. Wait and watch. After sufficient time has passed for the water to move a few inches up the paper (could be as long as half an hour depending upon the paper you use), remove the papers from the water and lay them flat to dry. The colors are so faint, it is difficult to capture them in a photograph. 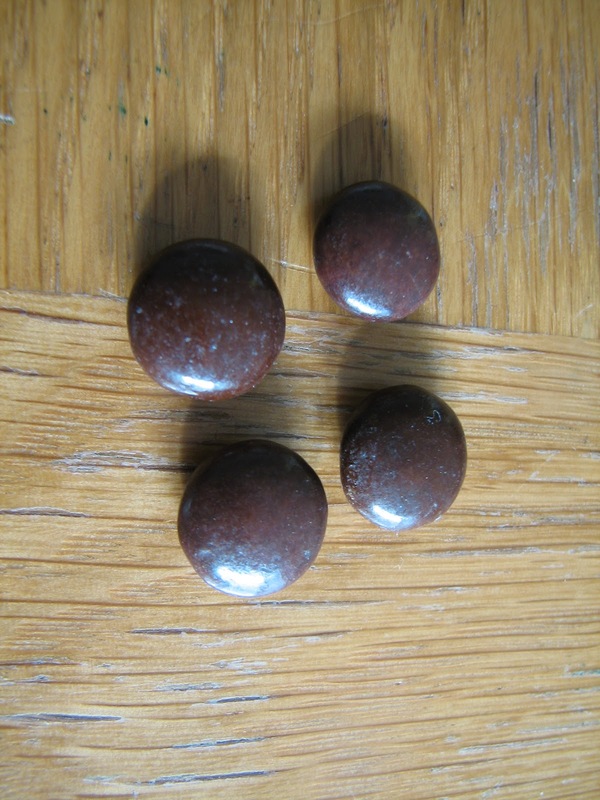 The Reese's Pieces is largely red with a faint blue line. The M&M shows a lot of orange, a little red, and a very faint line of green.